Nearly two weeks after the University of Miami’s Office of Emergency Management team began monitoring and activating plans for Hurricane Irma’s arrival, damage cleanup in its aftermath is in full force. Forty-eight hours after the initial assessments began, nearly all obstructed roadways have been cleared. Shpiner said roadway and pathway accessibility has been one of the university’s main goals. According to Sphiner, about 90 percent of the university’s buildings have been inspected. He said they’ve found “small issues in multiple buildings” such as resetting AC management and fire alarm systems. Shpiner said though no major problems have been found, it will still take time for issues to be fixed. Hurricane Irma, a Category 3 storm when it barreled through Miami, sustained wind speeds of 130 mph. The storm has left millions in Florida without power. Initial damage assessments began the following day, Sept. 11. 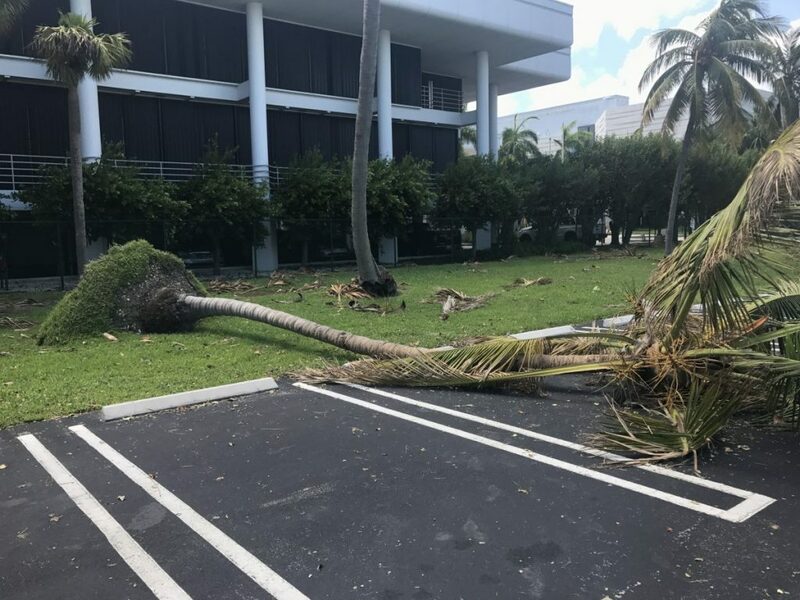 UM administrators and personnel, including President Julio Frenk, UMPD officials, and members of UM Facilities and Emergency Management spent Monday and Tuesday surveying the Coral Gables and Rosenstiel School of Marine and Atmospheric Science (RSMAS) for damages. Downed trees, speed limit and stop signs, power outages and vegetative debris are just some of the damages UM’s extensive team of full-time staff, recovery vendors and contractors are working with. 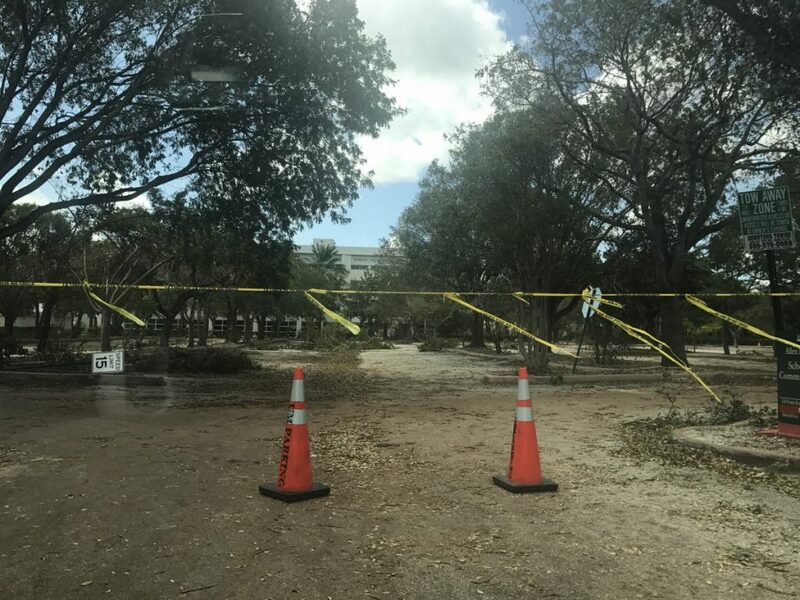 Shpiner said the damage the university concurred was expected because it has been over a decade since South Florida was hit by a hurricane. In October 2005, Hurricane Wilma produced hurricane force winds and damaged university property. During Wilma, an elevator in Mahoney-Pearson Residential College blew out. Shpiner said university administrators and staff have created a multi-faceted plan to get the university up and running again “as soon as humanly possible.” However, he said campus has to be deemed safe before that. University administrators are expected to make a decision regarding the resumption of classes by 5 p.m. today, Sept. 13. As of now, the earliest classes will resume is Monday, Sept. 18. 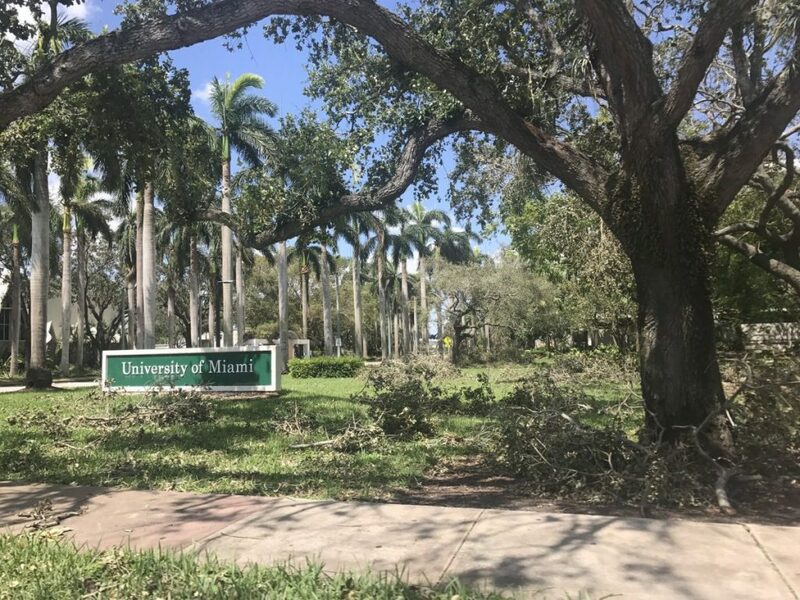 In an interview with The Miami Hurricane on Sept. 10, Vice President for Student Affairs Patricia Whitely said keeping students away from campus until the completion of the cleanup process is essential for the process. “I think our concern is that, there are trees down and there are paths that are not able to get through, when you have, having gone through Andrew, Katrina and Wilma, you don’t want people in the way of your construction crews that are trying to clear the path,” Whitely said. The university’s tenth storm advisory is expected to be sent out later this afternoon with more information about changes to the semester’s academic calendar as well as the administration’s decision on resuming classes. Shpiner said he understands students have questions and may feel stressed during this time, however, students’ response to the threat of the storm has helped in the university’s restoration process.